During a recent interview with mastering legend Bob Ludwig of Gateway Mastering for the 3rd edition of The Mastering Engineer's Handbook, he mentioned that he rewired his entire studio with Transparent Cable and both he and his clients were astonished at the improvement in sound. I wasn't familiar with the brand so I decided to check it out. 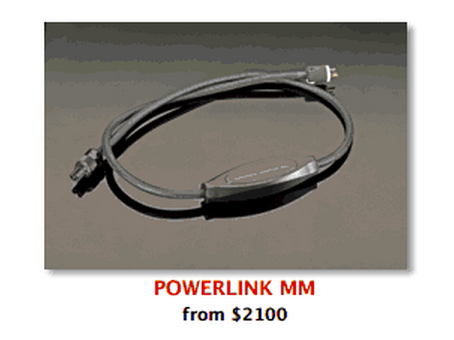 Talk about high end, here's an example of the company's most expensive power cable (from their online catalog). 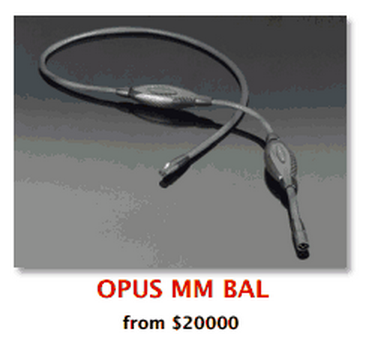 Their power cables are priced from $195 to $2100 (I usually pay about a buck). 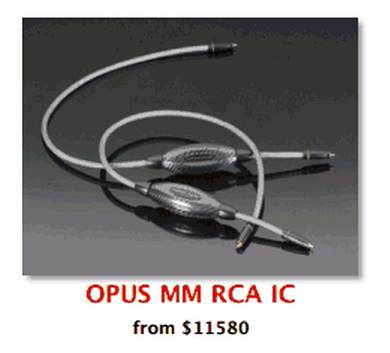 Okay, if a $2100 hundred dollar power cable isn't enough for you, how about an RCA cable for $11,580? In fairness, they also sell RCA cables as low as $95 (I'm used to buying them for around 50 cents). Perhaps you're looking for speaker cable. Here's one that goes for $34,735. Of course, they also have them for as low as $210. And of course, we all need lots of XLR mic cables around. How about buying a few of these babies for $20k each? They also have them for as low as $485. Normally I would scoff at the perceived worth of cable at this price, but I have to trust Bob Ludwig on this. All I know is that it's out of my price range until I have about 5 hit records. Does anyone reading have experience with these cables? Comments? Come on people. This is clearly ridiculous. They play on the fact that if you expect to hear a difference, you will believe you hear a difference. 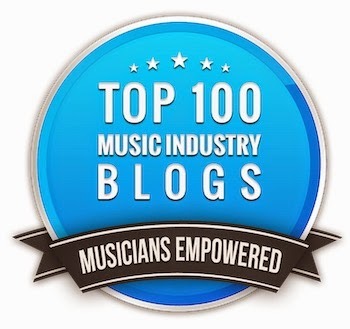 And if a famous mastering engineer tells his clients that he spend a couple hundred thousand dollars on amazing cables and the sound is so much better...they, too, will think they hear a difference. If Mr Ludwig was 'astonished' at the difference in sound after he installed however many thousands of dollars of interconnect cable in his studio--which was presumably performing adequately up to that point, since it's hard to imagine him working in unsatisfactory conditions--it begs the question of what inspired him to cough up the dough in the first place. Or was it given to him in exchange for his testimonial? (much more likely... on the Transparent site, it never actually says he bought it). On the site he says Transparent understands how to "eliminate noise problems". Are we to infer that Gateway had noise problems before? This is pretty silly. He's a shill. On the transparent site, Ludwig is quoted saying "they understand how to eliminate the noise problems and create a neutral cable". Are we to infer that Gateway had noise problems before? Or that his interconnect was coloring the sound in a detrimental way? This is silly. Ludwig is a shill. Perhaps he needs a new boat or something? Complete BS. Sorry but there's no way. I think we can pretty much assume that this is all psychology. I suspect it is similar to the art market. Perhaps some of you saw the recent "60 Minutes" piece on the art forger that fooled all the experts by painting abstract expressionist paintings he claimed were by famous artists? Above a certain quality level, better sound is subjective. It's an emotion. A belief. Pay enough, and you really kick the need for belief into high gear. Audiophiles have always been the perfect target for such schemes. Seems like it will go on and on. Especially if you add some gizmo into the circuit, or some unusual material to give the hopeful mind something to hang its belief upon. Also, from my point of view, recording and mastering engineers are often audiophiles (just spending someone else's money, if they don't own the studio). I suspect they can be tricked as well as anyone else. You know how you need to put a project away for a week sometimes because your ears get "fatigued" from closely attending to a set of tracks for hours and hours? Engineers are as human as the rest of us. They can be fooled. I call Shill. And if he had noise problems before, then I want a refund on my mastering. Perhaps he had some bad regular cables before that were giving him noise issues, and replacing those solved the problem. I actually think that Mr. Ludwig had a point. He has a reasonable ammount of knowledge, experience and reference gear to notice any difference, and that's something good for what he offers. In an acurate state-of-the-art enviroment like he does work everyday, a subtle difference for most listeners may be a huge difference for him. He even produces his own AC for power up his mastering studio. Who knows, it will be always a subjective topic. 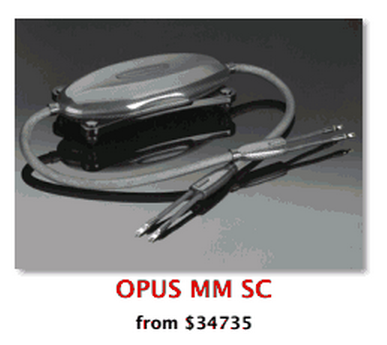 IMHO, paying for a cable something like 35K is absurd, at least for everyday audio pros. Yes, there are many electrical aspects that actually have an impact on frequency response, signal loss, noise performance -to name a few- because cables behave like an inductor (when running side by side others), like a capacitor (because insulation materials act like a dielectric) and like a resistor (specially noticeable in long run cables). All these factors interact with electrical signals (audio) carried over them, causing all sorts of side effects. There's enough R&D available for everyone over Internet to improve cable performance without breaking the bank. Cables certainly all sound different. I am the first to wish that this wasn't true, but it is. Line level devices tend to be less sensitive, but microphones and guitars and basses with passive pickups are *very* sensitive to cables. Even cables as short as a few feet sound extremely different when used between a guitar and an amp. See for yourself - make or buy a cable made from Canare GS6 and then compare it to a cable made from Gotham GAC-1. These two cables cost about the same in bulk (under a dollar a foot at local suppliers in LA). These cables sound extremely different from each other - not good or bad, but very different. The same can be said of Canare, Mogami, Belden and more audiophile cables like VOVOX. I can recognize many different brands of cables simply by their sound. Again, none is "best" but they all have a definite color. I haven't done the tests with IEC power cables, and I don't want to!! !